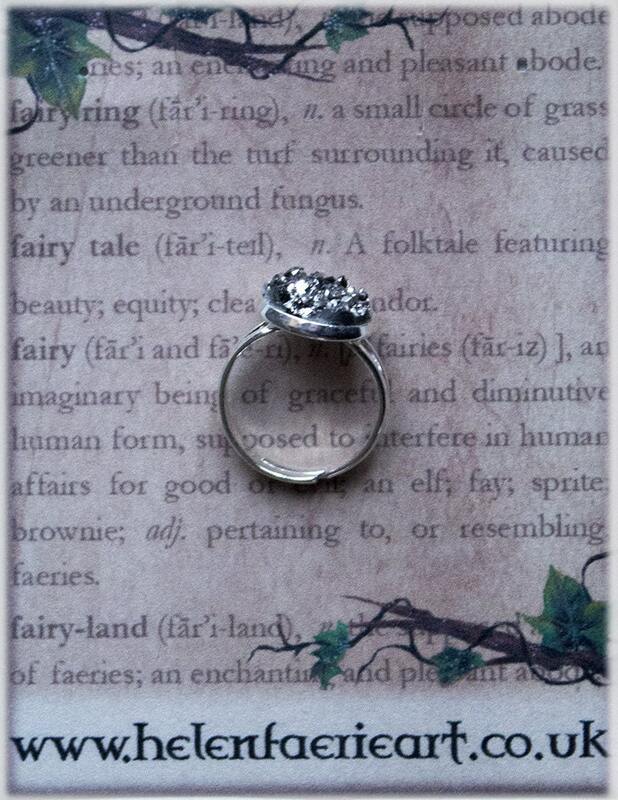 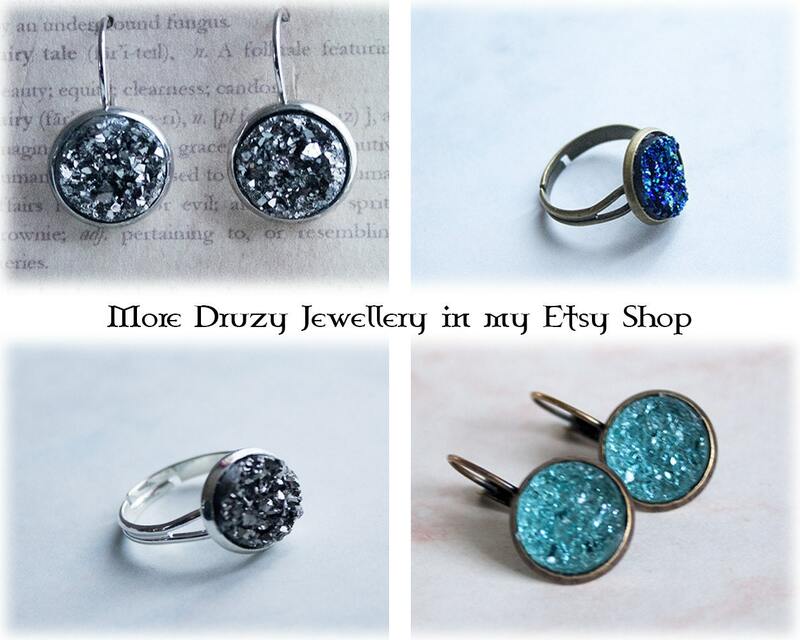 Enchanting glittering druzy crystal antique adjustable rings , hand crafted in my magical faery studio. 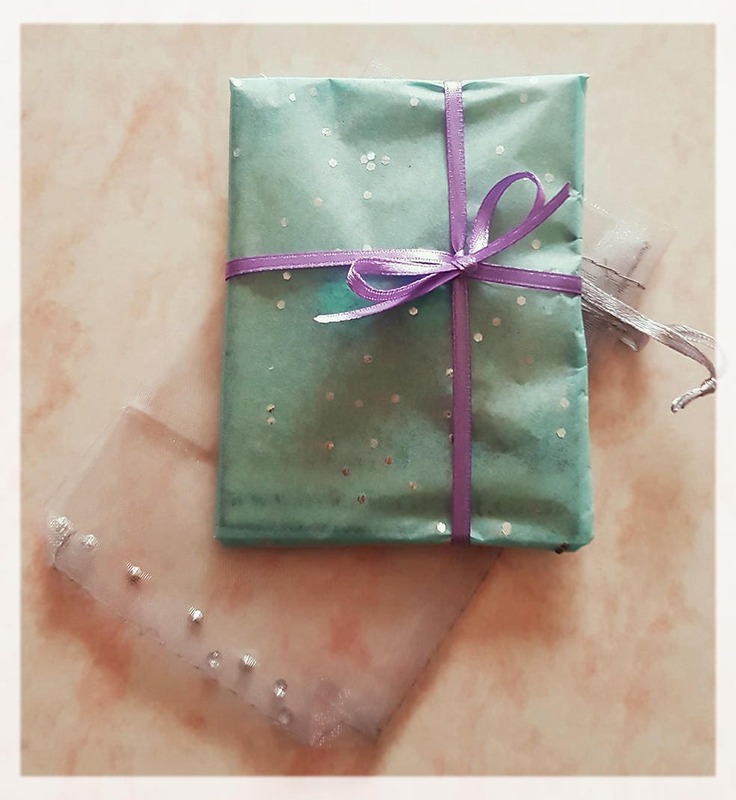 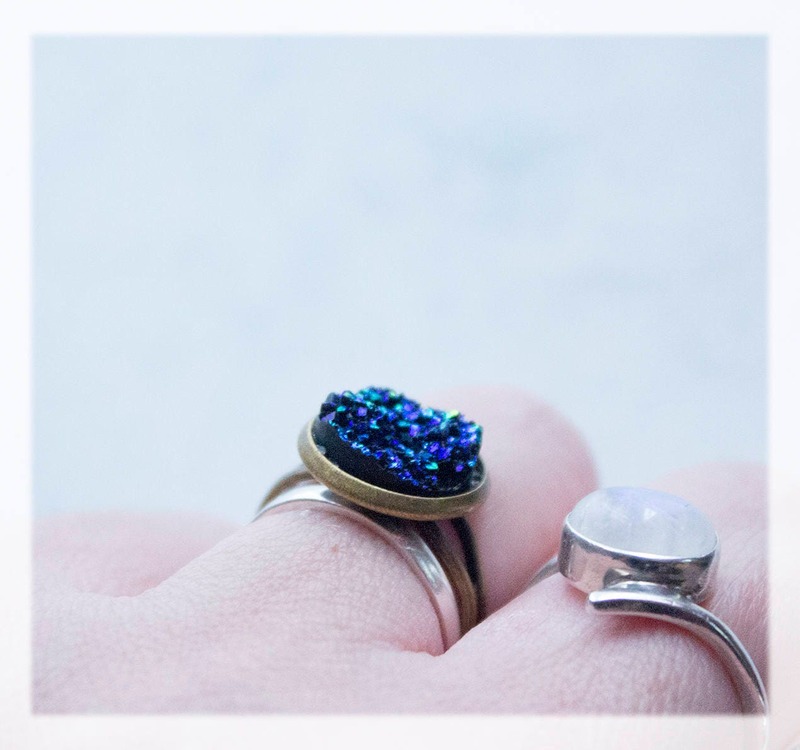 Shimmering iridescent colours that remind us of the sparkling waves, these little rings would make a perfect gift for any mermaid fan! 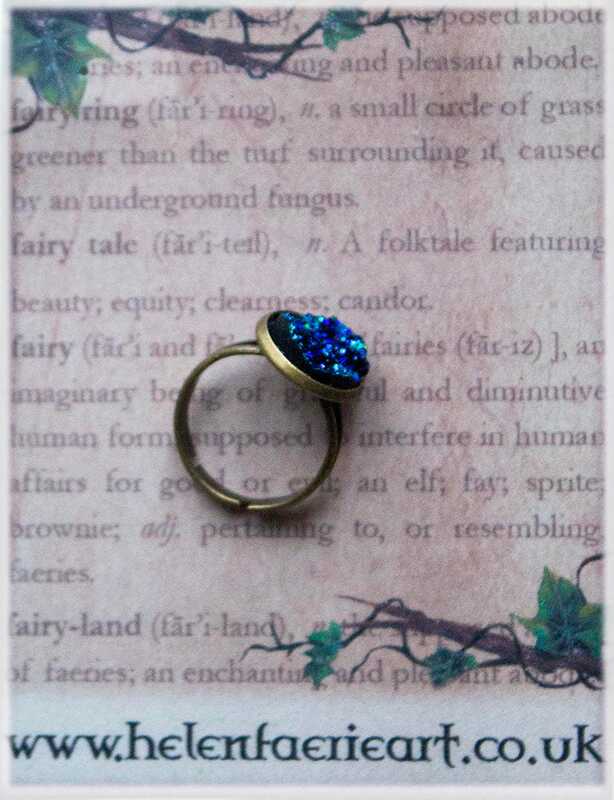 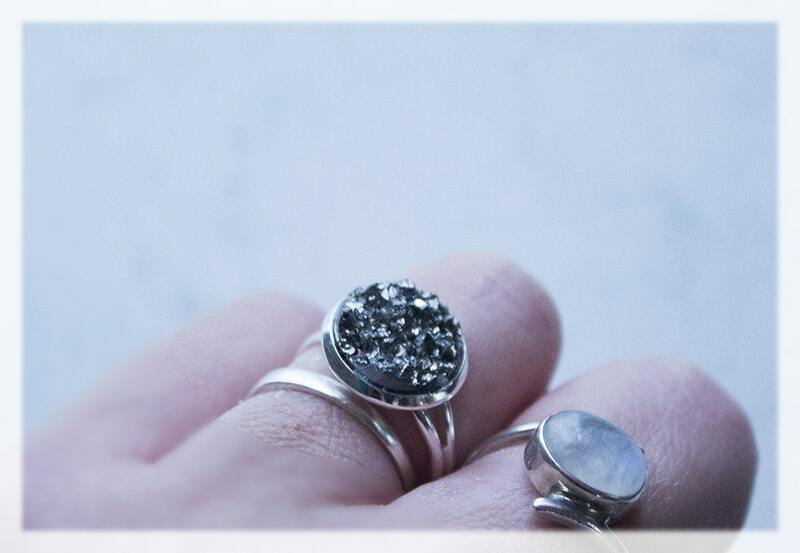 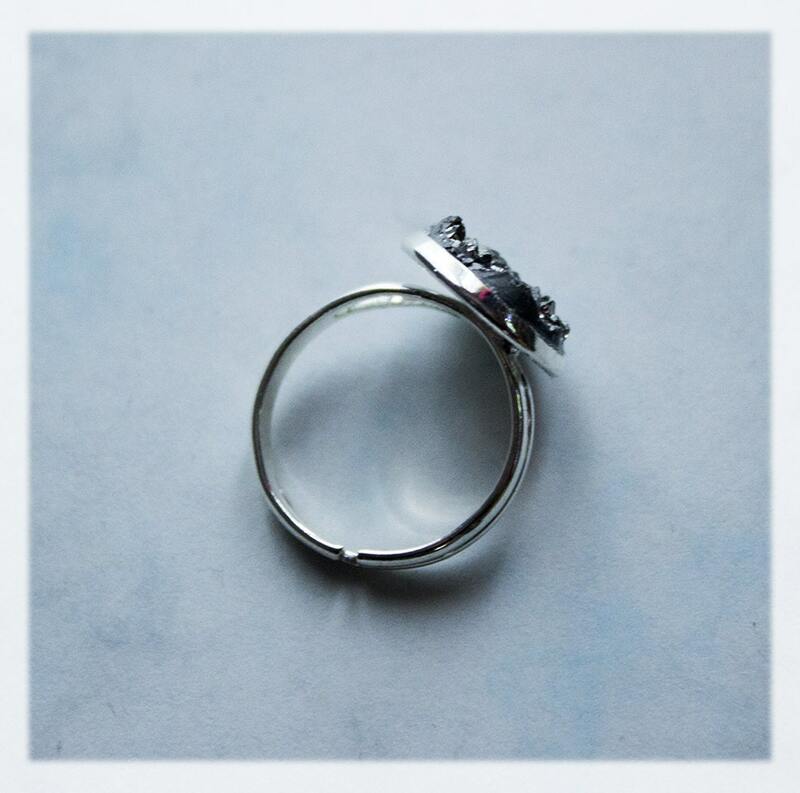 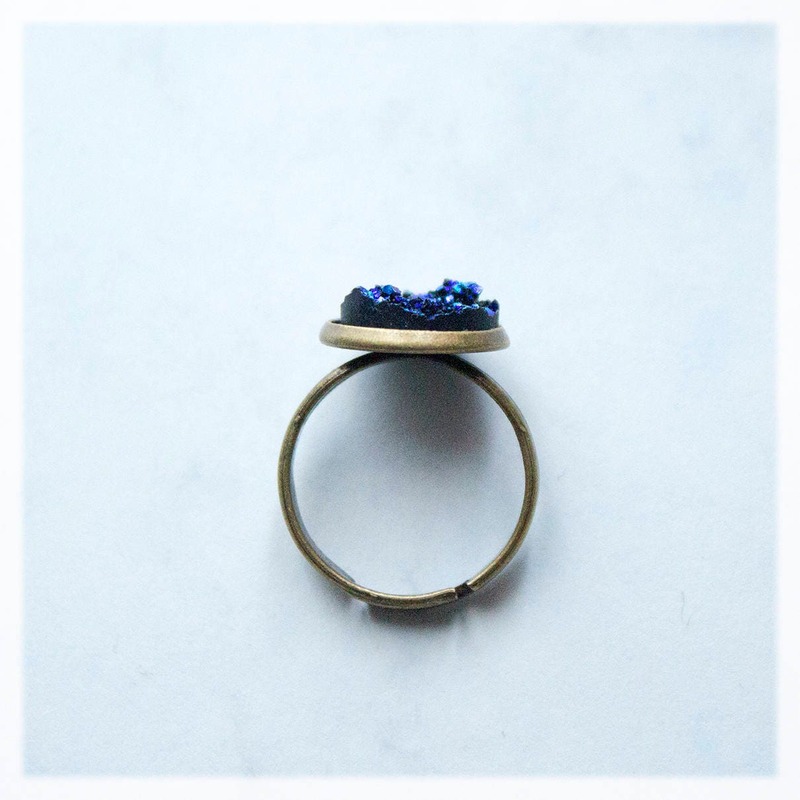 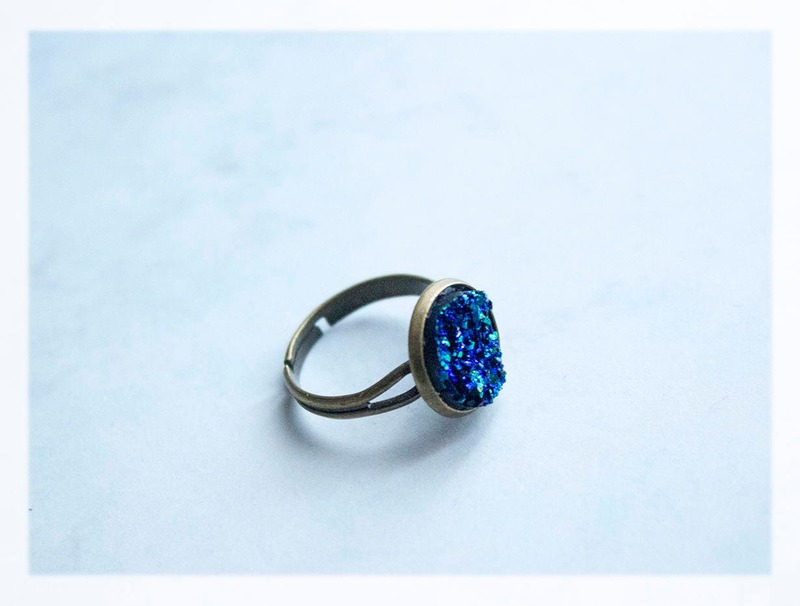 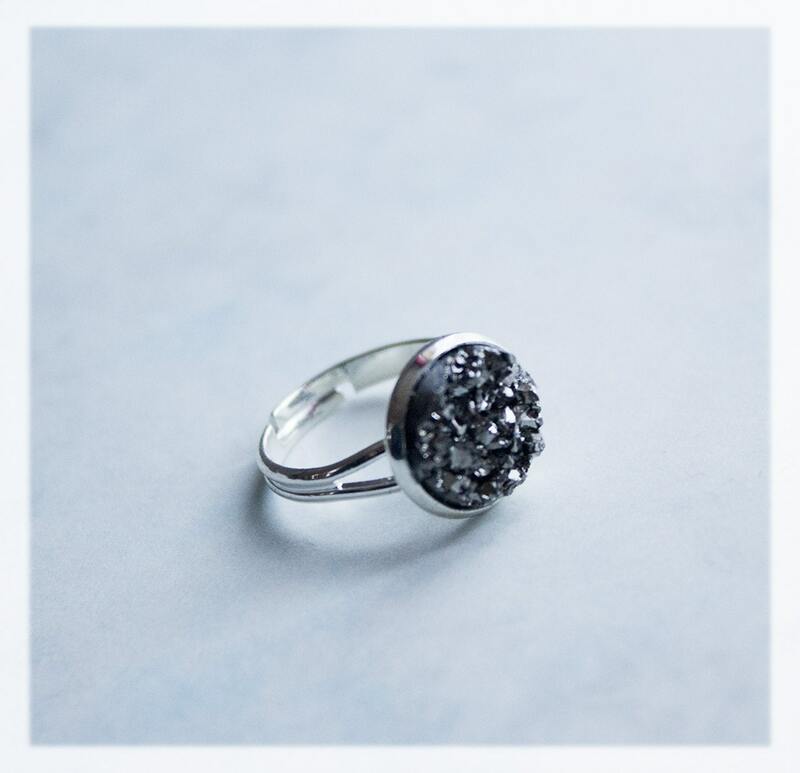 The magical rings have a small mermaid cabochon flat back resin druzy embellishment set in an antique silver tone frame.